Annual fundraiser is a family tradition for many in the community. 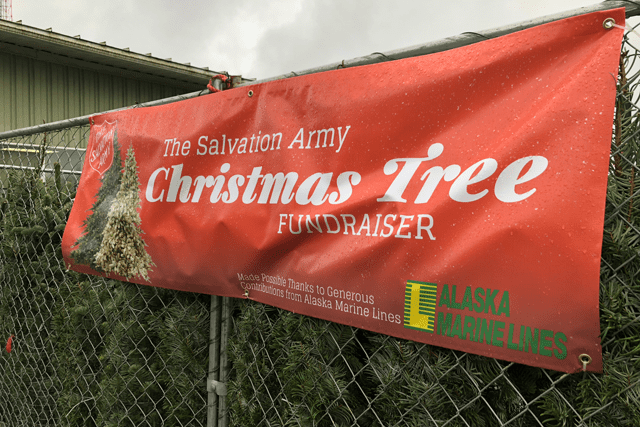 When it’s time to purchase a Christmas tree in Gateway, Alaska, the place to go is The Salvation Army, which maintains a nearly 20-year-old tradition with the help of partner organizations. “It’s pretty unique and cool,” said Lt. Sam Fowler, Corps Officer in Gateway with his wife, Leah. Christmas wreaths and tree stands are also for sale during the annual fundraiser, which the Fowlers believe began in 1999 as a way for the corps youth to make money. “Back in the day the kids would man the sales yard to sell the trees so they could afford the cost to go to camp in the summer,” Fowler said. Today, the Fowlers hire a corps member, an adult rehabilitation center graduate who sells the trees and manages the lot. He’s been doing this for the last five years. None of this would be possible without partner organizations, most notably Alaska Marine Lines. After the corps purchases the trees from a tree farm in Washington state, Alaska Marine Lines donates all the barge costs to ship the trees to Alaska. 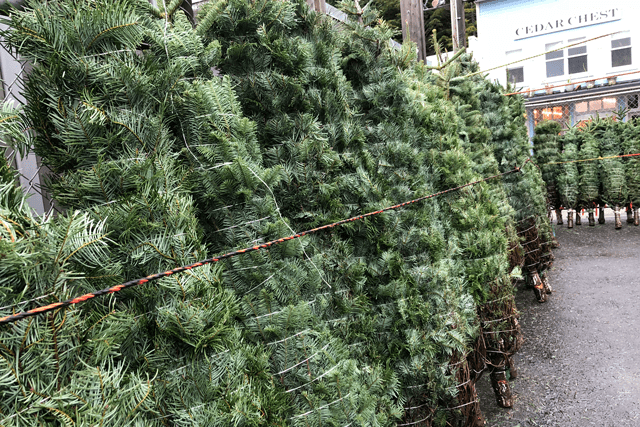 A local general construction contractor donates and sets up a fence each year, turning the corps’ side parking lot into a Christmas tree sales yard. This year Fowler got in touch with the president of Cinco Plastic Corporation, who agreed to sell the corps Christmas tree stands at distributor pricing. Alaska Marine Lines again donated the barge costs to transport the stands. The sale continues until the trees are all gone, usually around Dec. 20. Fowler said the tree sale brings in about $6,000 annually, with a large part of the money going toward the corps’ soup kitchen, which provides lunch Monday–Friday year-round. “We serve an average of about 50 meals each day, which given our population here in Ketchikan [just over 8,200 people] is quite significant,” Fowler said. 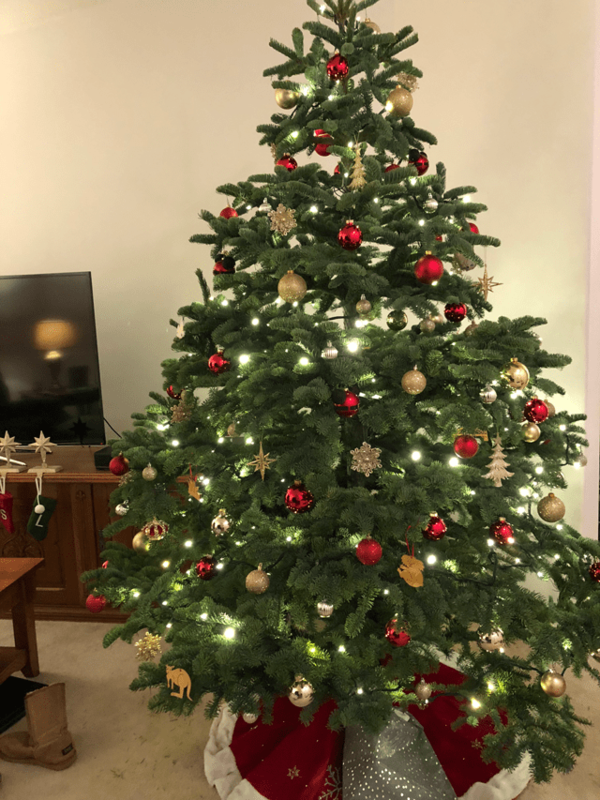 Fowler said some people have been purchasing their Christmas trees from The Salvation Army for at least the last decade. “It’s become somewhat of a family tradition,” he said.